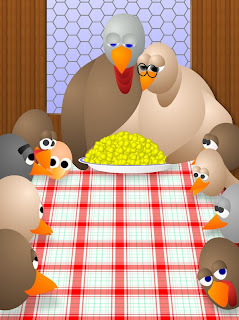 Again this year there is so much to be thankful for: provision of the basic needs of life, health, friends and family. Victories, successes, sunsets and plans that worked provide the sustenance of what we count as our blessings. But what about the failures, sickness, storms and the plans that never got off the ground? Thanks in ALL things? If there is one thing that I have learned this year is that each of those things I cannot accomplish myself – God can…and He can thru me. It’s not that “I” can do all things thru Christ who gives me strength, BUT it’s CHRIST in me who brings strength enabling me to do all things. I guess that would include giving thanks even in the toughest of circumstances. Now, that’s not where I find myself today. But I have friends who are there. I have to be thankful that the same Christ who gives support to my weakness will be allowed the chance to do the same for them. I have seen this year more than ever that God’s ways are far beyond my understanding. My gratitude is given in full trust that He extends His grace to all and is benevolent enough to allow each of us a place in His great plan. So thanks Lord for allowing me the opportunity to live the life You have called me to – I should want nothing else…oh yeah, and thanks too for that mess of leaves in the yard that needs to be moved this weekend.